Ex Libris Group is a leading provider of library automation solutions. DIGITAL SCIENCE We believe that new challenges facing research need a new approach. Elsevier is a global information analytics business that helps institutions and professionals progress science, advance healthcare and improve performance for the benefit of humanity. Elsevier provides digital solutions and tools in the areas of strategic research management, R&D performance, clinical decision support, and professional education; including ScienceDirect, Scopus, SciVal, ClinicalKey and Sherpath. Elsevier publishes over 2,500 digitized journals, including The Lancet and Cell, more than 38,000 e-book titles and many iconic reference works, including Gray’s Anatomy. Elsevier is part of RELX Group. Emerald – Emerald Publishing was founded in 1967 to champion new ideas that advance the research and practice of business and management. Today, we continue to nurture fresh thinking in applied fields where we feel we can make a real difference, now also including health and social care, education and engineering. We publish over 300 journals, more than 2,500 books, and over 1,500 case studies, via our dedicated research platform Emerald Insight. Frontiers is an award-winning Open Science platform and leading Open Access scholarly publisher. Our mission is to make research results openly available to the world, thereby accelerating scientific and technological innovation, societal progress and economic growth. We empower scientists with innovative Open Science solutions that radically improve how science is published, evaluated and disseminated to researchers, innovators and the public. Access to research results and data is open, free and customized through Internet Technology, thereby enabling rapid solutions to the critical challenges we face as humanity. Innovative provides leading technology solutions and services that empower libraries and enrich their users worldwide. Innovative offers one of the most comprehensive portfolios of library automation products on the market today, serving academic, public, national, corporate, special libraries, and consortia. Headquartered in Emeryville, California, Innovative has a global presence—serving thousands of libraries in 66 countries and offices worldwide. ACS Publications is a nonprofit scholarly publisher of more than 50 of the most cited, most trusted and most read peer-reviewed journals and eBooks. The Division offers high quality, rapid time to publication, a range of channels to access the publisher’s cutting-edge digital platform, and a comprehensive program of Open Access initiatives. ACS Publications also publishes Chemical & Engineering News – a news magazine covering science and technology, business and industry, government and policy, education, and employment aspects of the chemistry field. What drives CCS since 1976 is the question of how we can make knowledge more accessible through the use of technology. We develop intelligent software (docWorks) that helps to convert print archives into easily and professionally searchable digital libraries. In addition, we create innovative display systems, such as the MagicBox, to present digitized content in an interactive and exciting way. Our customers include the most prestigious and advanced libraries in the world, including 15 national libraries. Since 2008, DPI was the first Irish Company offering dedicated Document Scanning Equipment and Bureau Services. We are the exclusive Distributor in Ireland for i2S, one of the Global champions of digitisation technologies and software. In 2016, we became the exclusive Reseller for CCS in Ireland, offering state of the art presentation case technologies. Call over to the meet Hartmut (CCS) and Brendan (DPI) at LIBER 2019, stand 35. F1000Workspace Beyond a reference manager: this award-winning tool helps you work, share and write effortlessly with colleagues across the globe. F1000Prime Never miss a key article. Over 8,000 leading experts from across the globe monitor the literature and give you their opinion on the most impactful research. F1000Research Publish fast. Openly. Without restrictions. Figshare is a web-based platform to help academic institutions manage, disseminate and measure the public attention of all their research outputs. The light-touch and user-friendly approach focuses on four key areas: research data management & institutional repository management, reporting and statistics, research data dissemination and administrative control. Figshare works with institutions internationally to help them meet key funder recommendations and to provide world-leading tools to support an open culture of data sharing and collaboration. You can follow @figshare on Twitter. Figshare is a Digital Science portfolio company. Glenbeigh Records Management (GRM) specialises in the provision of a comprehensive range of records management and digitisation services. They have over 15 years’ experience working with a number of national and university libraries. Some of the projects they have undertaken for these organisations have included scanning prestigious collections of material using industry leading image capturing technology, relocating fragile documents and securely preserving records in environmentally controlled storage conditions. The IEEE Xplore® Digital Library is your gateway to trusted research— journals, conferences, standards, ebooks, analytics solutions and educational courses—with over 4.7 million articles to help you fuel imagination, build from previous research, and inspire new ideas. KeyLinks provides educational libraries with a list management solution that supports them in reaching their goals. It’s customer-focused approach provides the most flexible and customisable product on the market. KeyLinks has been developed in a joint venture between the Copyright Licensing Agency and Kortext; a strong partnership with a trusted reputation. Statista.com is the first statistics portal in the world to integrate over 80,000 diverse topics of data and facts from over 22,500 sources onto a single professional platform. With high quality content prepared according to scientific standards, Statista provides business customers, researchers, private users, and the academic community with direct access to reliable, relevant quantitative facts and statistics. Ubiquity Press is a 100% open access publisher of peer-reviewed academic journals, books and data, and a service provider of publishing and repository platforms that make high quality open access affordable for everyone. Through the Ubiquity Partner Network, infrastructure and services are provided to enable university presses and library publishing programmes to provide sustainable, Plan S-compliant open access publishing. ABES – Bibliographic Agency of Academic Libraries – provides several national databases: Sudoc collective catalogue, Calames for manuscripts and archives; theses.fr for theses and dissertations; Bacon, Knowledge Base; IdRef, for authority records. Furthermore, ABES provides financial support to libraries for purchase of digital scientific journals. ABES contributes to Open Science development by investing innovative projects to improve availability of academic libraries metadata. ACCUCOMS is the leading independent provider of services to academic and professional publishers around the world. With its headquarters based in the Netherlands, the company operates in five continents, covering North America, Latin America, Europe, Middle East, North Africa, Turkey, India, South Korea, Taiwan and South East Asia. ACCUCOMS’ multilingual teams offer efficient and intelligent representation, telesales and business intelligence services as well as user interaction programs to clients that range from large publishing houses to specialist society publishers. In 2016 ACCUCOMS launched Aggregagent, a new way of thinking about collection sales and changing the big deal scene in the industry. With Affluences, predicting crowds has never been easier. We design and set up counting sensors in partner institutions to measure attendance or occupation in real time. Then, using the data retrieved by this technology, we are able to forecast attendance with a predictive analysis algorithm. Finally, we share this information on the Affluences free mobile app and on our partners’ websites too. Bloomsbury Digital Resources provides creative online learning environments that support scholarly research and inspire students throughout the world. We seek to engage our users with academically rigorous, editorially crafted content that encourages people to think and explore. The Cambridge University Press vision is a world of learning and research where: We enable people to achieve success by providing the best learning and research solutions. We support our customers through continually improved content, experiences and care. We use our profit for purpose, contributing to society by furthering the mission of our University… Playing a leading role in today’s global market place, we have over 50 offices around the globe and worldwide distribution channels. Overleaf is a free, collaborative, cloud-based LaTeX editor which makes the process of writing, editing and publishing scientific documents quicker and easier. This intuitive online platform has seen rapid adoption across science and research, and Overleaf’s award-winning collaboration technology is now in use by over 2.9 million researchers, students and technical writers in institutions, labs and industry worldwide. It’s simple and intuitive – all you need is a web browser – use it for free at www.overleaf.com. The Royal Society of Chemistry promotes, supports and celebrates chemistry. We work to shape the future of the chemical sciences – for the benefit of science and humanity. Our expanding portfolio of journals, books, databases and magazines features research submitted by an acclaimed and international set of authors.We are the UK’s professional body for chemical scientists; a not-for-profit organisation with 175 years of history and an international vision for the future. LibGuides, the most popular curation and knowledge-sharing tool for libraries; LibAnswers with LibChat, a multi-channel communication platform with screensharing; LibCal, the complete calendaring & room/equipment booking solution; LibInsight, store and analyze all library data; LibInsight, a single platform to store and analyze all library data; LibWizard, the forms, surveys, quizzes, and tutorial building app; LibCRM, build and maintain relationships with your community; LibStaffer, manage staff and service point scheduling. Taylor & Francis partners with researchers, scholarly societies, universities and libraries worldwide to bring knowledge to life. As one of the world’s leading publishers of scholarly journals, books, ebooks and reference works our content spans all areas of the Humanities, Social Sciences, Behavioural Sciences, Science, Technology, and Medicine. With our scanning and microfilm systems, we played a key role for more than 50 years in the digitization and digital preservation of valuable documents, both in librarianship and archive management as well as in museums, industrial companies and public administration. A wide range of software products and accompanying services supports our customers in building up digital collections in the internet and in the realization of digital services. EDP Sciences is a not-for-profit publisher established in 1920 by the French Physical Society and several renowned scientists including Marie Curie. EDP publishes over 70 scientific journals as well as conference proceedings and books. EDP’s mission for dissemination of important research to accelerate scientific progress means they are fully engaged with Open Access through their publishing activities, and participation in transformative open access agreements. With 100 years of history, they continue to look to the future, through educational initiatives for young researchers such as scientific writing masterclasses. Adam Matthew Digital publishes unique primary sources from archives around the world, including The National Archives and The Newberry Library. We believe that at the heart of education is the freedom to think critically. We reimagine primary sources, to empower current and future generations to challenge, analyse and debate. Our award-winning collections span the humanities and social sciences; our latest collections include American Indian Newspapers and Gender: Identity and Social Change. 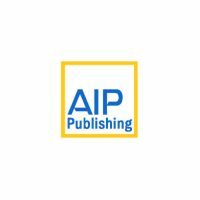 AIP Publishing is a wholly owned not-for-profit subsidiary of the American Institute of Physics (AIP). Our portfolio offers scientists, engineers, researchers and students a foundation of interdisciplinary and emerging basic and applied research. Spanning the physical sciences, publications cover physics, plasmas, fluids, mathematical physics, instrumentation, and education. Annual Reviews is a nonprofit publisher dedicated to synthesizing and integrating knowledge for the progress of science and the benefit of society. Annual Reviews journals promote the sharing of relevant research through in-depth, highly-cited reviews written by invited authors. 51 disciplines are covered within Biomedical, Life, Physical, and Social Sciences, and a variety of content collections for institutions and consortia are available. Askews Academic supply shelf ready print, eBook and multimedia services to F.E & H.E Institutions. Through our partnership with our sister company, Gardners Books, the UK’s largest book wholesaler, our well managed and efficient supply chain delivers swiftly to help libraries meet the ever increasing expectations of students.Our eBook service, VLeBooks, provides a market leading solution to eBook purchasing, saving libraries both time and money. Providing the highest standard of customer care is our priority. UK based for over 140 years, our dedicated academic team are always on hand to provide support and advice to libraries. Founded in 1683, Brill is a publishing house with a rich history and a strong international focus. Our print and online publishing programme covers the Humanities and Social Sciences, International Law & Human Rights and Biology. A new publishing area for Brill is the field of educational research (under the Sense imprint). We have special pricing agreements with many of the European consortia and licensing bodies. Dawson Books is a world-class international supplier of academic and professional books, eBooks, shelf ready and information services for academic, professional and research institutions. We provide innovative digital solutions which interact between the essential components of the book supply chain. Our dawsonenter database offers a “one stop shop” for library staff to explore, discover and acquire print and electronic books, with access to over 38 million titles. Our eBook platform, dawsonera provides seamless access to over 600,000 ebooks from leading academic publishers. De Gruyter publishes first-class scholarship and has done so for 270 years. An international, independent publisher headquartered in Berlin – it publishes over 1,300 new book titles each year and more than 900 journals in the humanities, social sciences, medicine, mathematics, engineering, computer sciences, natural sciences, and law. The publishing house also offers a wide range of digital media, including a large number of open access journals and books as well as number of partnership models for university presses. Edward Elgar Publishing is a leading international academic and professional publisher with a strong focus on the social sciences and legal fields. We publish 380 titles annually and have successfully created a prestigious list of over 7,000 titles. Elgaronline, our electronic content platform, contains our journals as well as over 4,200 books including scholarly monographs, reference works, encyclopedia and the leading research handbook programme in the social sciences and law. Elgaronline is DRM free with unlimited user access. We have annual front list and back list collections, specific subject collections and ‘pick and choose’ (30+ titles). Gale, a Cengage company, provides libraries with original and curated content, as well as the modern research tools and technology that are crucial in connecting libraries to learning, and learners to libraries. For more than 60 years, Gale has partnered with libraries around the world to empower the discovery of knowledge and insights. Harwell Restoration, a Polygon Group Company, is Europe’s leading restoration and preservation specialist for library, archival and museum collections. We restore books and documents damaged by fire, flood, mould and infestation, including projects at Glasgow School of Art, the French Ministry of Culture, and the Cite des Sciences in Paris. We also provide consultancy in emergency and disaster planning for libraries and risk management for collections. Established in 1836, ICE Publishing is a leading provider of information for researchers and practitioners worldwide in the fields of civil engineering, construction and materials science. We are the publishing division of the Institution of Civil Engineers (ICE), a non-profit society of over 92,000 members around the world. Our portfolio includes journals, archives and books which provide a gold-standard reference point for industry and academia. Interleaf Technology provides technology solutions for libraries and information services of all sizes, and specialise in Open Source, cloud-based services and solutions to all sectors with our local support team. We partner with many leading industry providers on a range of projects and solutions as well as developing our own products to provide the perfect solution for you. Interleaf addresses all your technology needs including Library Management Systems, Digital Repositories, Local History Databases, Wi-Fi solutions, eBooks, MARC Records, and also provides consultancy services in these areas to help you build the optimum solution for your organisation. Combining the culture of a learned society with global reach and highly efficient and effective publishing systems and processes, we serve researchers in the physical and related sciences in all parts of the world. Through our range of journals, magazines, websites, our award winning ebook programme and other services, we enable researchers and research organisations to reach the widest possible audience for their research. IOP Publishing is a wholly owned subsidiary of the Institute of Physics. Any profits generated by IOP Publishing are used by the Institute to support science and scientists. Kanopy is a streaming video platform offering a curated collection of thousands of the world’s best films through partnerships provided by more than 4,000 libraries around the world. Kanopy offers your students and faculty convenient access to a large, curated catalogue of educational, entertaining, and enriching films. Our pricing model offers patron-driven acquisition for universities to provide the best value on the most unique streaming service available. Kennys Bookshop in Galway have been in the book business since 1940. They specialise in the sale of Irish material & the sale of Special Collections and Archives, both independently and on behalf of owners. They have been valuing archives and evaluating collections for over 40 years. They are the chief supplier of Irish material to several academic institutions in the United States and together, they have over 200 years of experience in the book trade. They also have the longest running online bookshop in the world. Oxford University Press is a department of the University of Oxford. It furthers the University’s objective of excellence in research, scholarship, and education by publishing worldwide. In addition to publishing worldwide, Oxford University Press produces online editions of many of its most acclaimed scholarly and reference works including academic and research journals, dictionaries, encyclopaedias, general reference material, and monographs in a wide range of subject areas. Third Iron’s services simplify workflow, accelerate discovery, and better connect your users with content. BrowZine presents ejournals visually and arranged by subject, enabling users to quickly find, read and follow journals of interest. LibKey Discovery enriches discovery with key Third Iron data, including one-click access to millions of subscribed and open-access journals, cover art from over 25,000 journals, and direct links from a specific article to the full journal issue.